Following an exhilarating FIFA World Cup this summer BT Sport will bring fans a packed schedule of live football in August and September, led by exclusively live Premier League action, alongside live and exclusive coverage of every match from the UEFA Champions League and UEFA Europa League group stage. 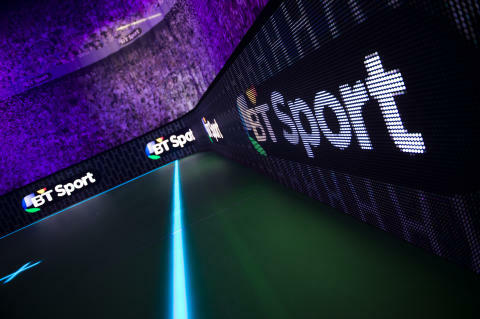 BT Sport’s selection of live Premier League games sees Manchester City, Manchester United, Liverpool, Chelsea, Arsenal and Tottenham Hotspur all feature across the channels. Headlining are two mouth-watering Chelsea home matches, with the Blues taking on Arsenal on 18 August at Stamford Bridge, and, hosting Liverpool at home on 29 September. Opening BT Sport’s coverage of the 2018/19 Premier League season on 11 August will be the clash between Wolverhampton Wanderers and Everton. This tie pits last season’s Championship title winners against an Everton side targeting a reboot under the leadership of new manager Marco Silva. The match between Chelsea and Arsenal on 18 August provides a stern test for new Gunners boss Unai Emery in what will be only his second league match in charge since taking over from Arsene Wenger. The broadcaster’s third match of the new campaign (25 August) will see Jurgen Klopp’s Liverpool host Brighton & Hove Albion in a repeat of the Reds final game of last season which saw the home side qualify for Europe this season. Meanwhile, Pep Guardiola-led champions Manchester City will host Rafa Benitez’ Newcastle United on 1 September aiming to make it three league wins in a row against the Spaniard’s team following 3 -1and 2 – 0 wins in the league last season. In the first of two away days for Jose Mourinho’s Manchester United on BT Sport in the first two months of the season, BT Sport cameras will be at Vicarage Road on 15 September for the Red Devils clash with Watford. This match follows an international break and Mourinho will hope his players are ready for the Hornets following their overseas exertions. And on 29 September, Mourinho will take his side to London’s Olympic Stadium to take on West Ham, who are now managed by former Manchester City boss Manuel Pellegrini, in an intriguing matchup. Tottenham Hotspur face an away trip to the south coast on 22 September to take on former Spurs defender Chris Hughton’s Brighton & Hove Albion side. Mauricio Pochettino’s side, led by England’s Harry Kane and Dele Alli, will be focusing on securing three points just days after their UEFA Champions League Group Stage opener (on 18 or 19 September, also live on BT Sport). BT Sport’s live Premier League action will be complemented by exclusive live coverage of every single match from the UEFA Champions League and UEFA Europa League, which begins in September, with a new ‘double-header’ format of staggered kick-offs (17.55 and 20.00) for each match night. 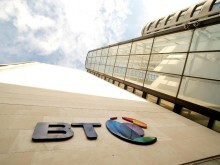 The BT Sport live sport line-up, includes the Premier League, UEFA Champions League and UEFA Europa League, the Emirates FA Cup, MotoGP, boxing, Premiership Rugby and Heineken European Champions Cup.Audience figures continue to grow on BT Sport, with average viewing up 17% at the end of the last football season.